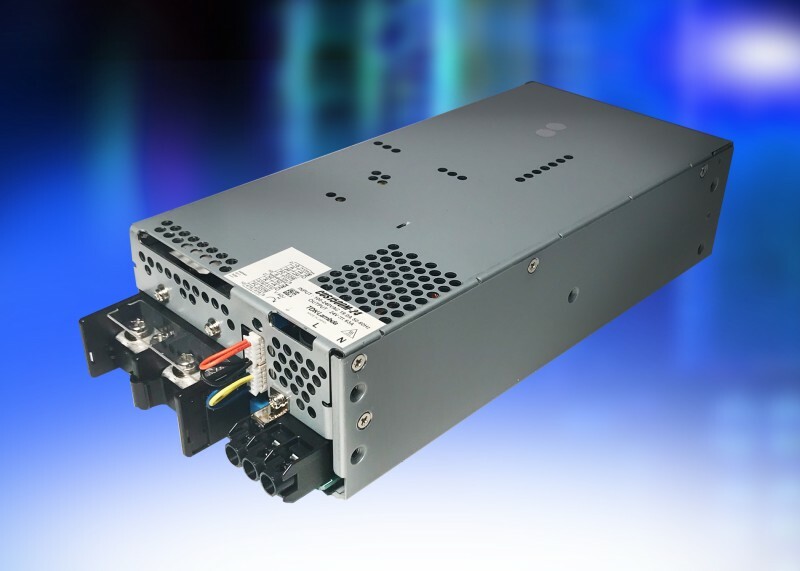 TDK has announced the introduction of the TDK-Lambda 1500 W rated CUS1500M series of AC-DC power supplies. This extends the CUS-M family of products, to now cover 30 W to 1500 W. The CUS1500M has both medical and ITE (Information Technology Equipment) certifications and is ideally suited for industrial, medical, cosmetic laser treatment and analysis equipment requiring less than 300 µA earth leakage current, low audible noise and class B EMI. The 1500 W additions are available with 12, 15, 24, 36 and 48 V outputs, adjustable from -15/+20% (+15% for the 48 V) of nominal. All models accept an 85 to 265Vac input and can operate at full load in -20oC to +50oC ambient temperatures, derating linearly to 60% load from +50oC to +60oC. High operating efficiencies of up to 88% reduce internal waste heat and component temperatures, resulting in electrolytic capacitor service life predictions of at least ten years. The CUS1500M measures 127 mm x 63 mm x 261 mm and has a seven-year warranty. Other features include a 5 V, 1 A standby voltage, remote on/off, parallel operation of up to five units, an isolated open collector DC good / fan fail signal and a variable speed fan that produces 45 dBA (typical) at 30°C at 70% load. To facilitate safe and easy installation, output cable connections are made to screw terminal blocks with covers rather than bus bars. The terminal block can also be quickly configured for either a vertical or horizontal wiring orientation. The TDK-Lambda CUS1500M models are certified to the safety standards of IEC/ES/CSA/EN 60601-1, IEC/UL/CSA/EN 60950-1 (62368-1 pending), IEC/EN 62477-1 (OVC III), and are CE marked according to the Low Voltage, EMC and RoHS2 Directives. Input to output isolation is 4,000Vac (2 x MoPP), input to ground 2,000Vac (1 x MoPP) and 1,500Vac output to ground (1 x MoPP) for suitability with B and BF rated equipment. All models offer conducted and radiated performance to EN55011/EN55032-B, meet EN 61000-3-2 harmonics and are compliant to EN 61000-4 and EN 60601-1-2 (Edition 4) immunity standards. Major applications include industrial, medical, cosmetic laser treatment and analysis equipment requiring less than 300µA earth leakage current, Class B EMI and low acoustic noise. 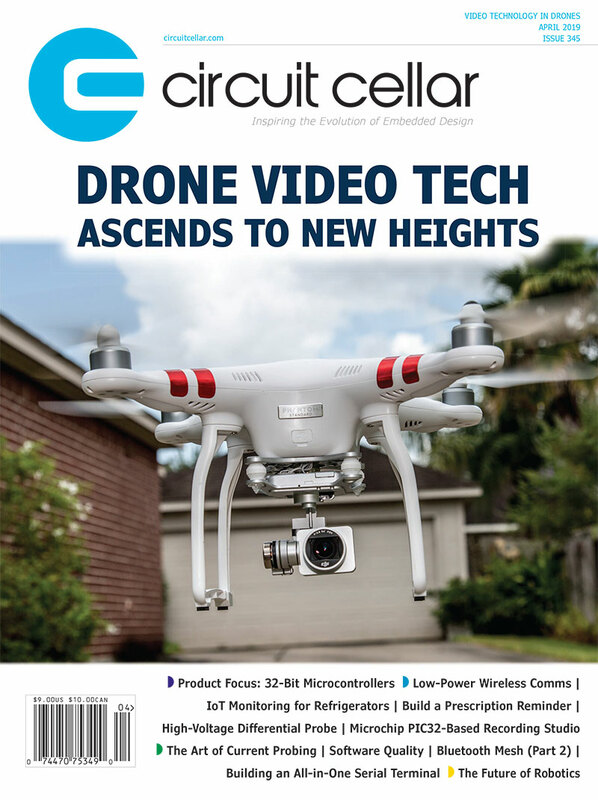 This entry was posted in CC Blog, Industry & Enterprise, Product News and tagged AD-DC Power Supplies, industrial, ITE, medical, safety certified by Circuit Cellar Staff.